Welcome to the AOPA Co-OP, a compendium of O&P! Sign up now. Each AOPA member company will receive one license for this platform. Multiple people can use the same login at the same time. Please assign one contact for your company. Already signed up? Use this link to sign in to your account. As an online reimbursement, coding and policy resource, this site includes a collection of detailed information with links to supporting documentation for the topics most important to AOPA Members. 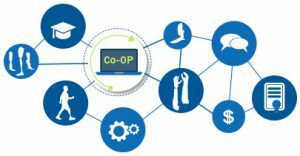 Like a Wikipedia of all things O&P, the Co-OP incorporates a crowdsourcing component, which is vetted by AOPA staff, to garner the vast knowledge and experience of our membership body. There’s also an APP! Once you’ve signed up, you can download and use the Co-OP App on your mobile device. Enter aopanet.atlassian.net as the domain, your email and password from the Co-OP. Download the Co-OP App for your Apple phone. Download the Co-OP App for your Android phone.